There is a real buzz in the market about the recent successes and announcements from Integral e-Drive. 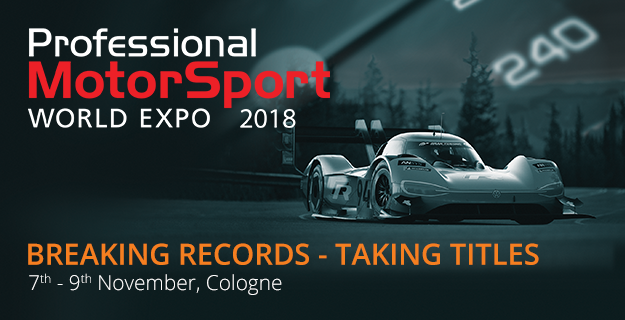 Why not take the opportunity to explore our capability when you visit Professional MotorSport WORLD EXPO in Cologne 7th – 9th November? The team will be on Stand 3066 and are looking forward to welcoming you. Professional MotorSport WORLD EXPO. What can you expect? Integral e-Drive’s most recent announcements coincided with CENEX LCV 2018, in the UK, but there is so much more to come. A wide selection of motor and inverter technologies were on display including an example of the combined inverter/motor that powered the Volkswagen Motorsport I.D. R Pikes Peak race car to its double record braking accent in America. Followed shortly afterwards with a new record for all electric cars at the Goodwood Festival of Speed Hill Climb shoot out. A new e-Axle (CTU-400) made its debut at the show. It is the result of a collaboration with McLaren Applied Technologies and Hewland Engineering and will provide motorsport and automotive OEM’s with a high performance e-Axle that is uniquely simple and very compact. Integral e-Drive is committed to maintaining and developing their leading motorsport technologies. This will ensure the continued success of clients competing in the most demanding of environments. At the same time Integral e-Drive are taking the lessons learnt to the automotive industry with their “Track to Road” programme. They are also offering electric motor technology solutions for future air transport. A notable announcement being the provision of the motors for the future Aston Martin Rapide E; an all-electric production car and a 1st for Aston Martin. Integral e-Drive will be reaffirming its position and the forefront of electric motorsport in Cologne, providing a welcome opportunity to discuss future applications of their leading technology with the world’s motorsport elite. On show will be a range of high performance, high efficiency and power dense motorsport e-Drives and inverters as well as the SuperGen range of 12-48V machines, control units and e-Axle solutions. Professional MotorSport WORLD EXPO is an exclusive industry event for professionals from all disciplines of motorsport. It’s an ideal event to explore what’s new, what’s coming and for making the connections that will drive your performance or business in the future. Should you require a free entry badge to the show, this link will take you to the official website application page. Follow us on Twitter, LinkedIn and Facebook to keep up with the latest news and exciting developments at Integral e-Drive. Fill out the form below to be added to our mailing list. Download our latest white paper, article or presentation for free and subscribe to stay updated.